Hope you are having a good Easter day today. 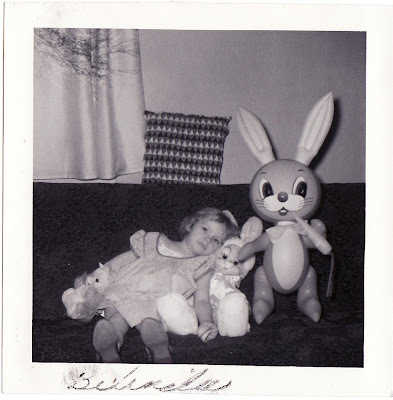 Hopefully you won't get sick from too much candy, which it seems may have been the fate of little Belinda here. In spite of my own warning, I may have to chance it myself. A basket of peanut butter eggs awaits me. I cannot resist those.